The roar of the F1 engines still may be a couple of weeks away but Montreal has been in prep mode for months. The F1 weekend is the official launch of summer in our city and fittingly, its the biggest weekend of the year (you can have a look at last year’s Grand Prix here). People from across the globe flock to the 514 for the races, the parties, the shopping, the food and more. In no particular order (because they will all be awesome) Here is our list of this years not to be missed parties. One of the most highly coveted tickets of the weekend, the Ritz-Carlton in association with PFAFF McLaren kicks off their legendary Friday night party with a bang as they receive guests, celebrities, drivers, media and more to the lavish garden party that spills out of the opulent Oval Ballroom and Palm Court. 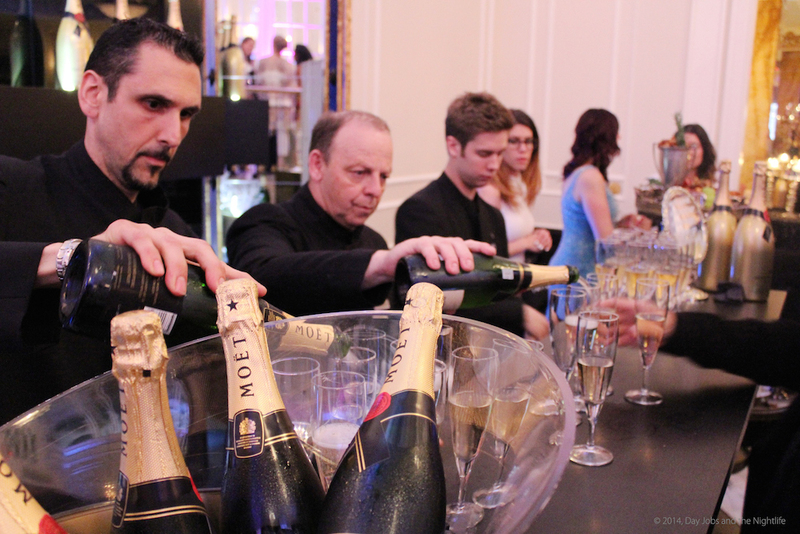 This year’s party promises an open Moët et Chandon bar, mouthwatering food stations, music by DJ YO-C, live performances and more. We guarantee that you will have a good time. Tickets are available here and $10 from each ticket goes to UNICEF Canada. Le Richmond has a slew of events happening across the 4 day Grand Prix festivities. 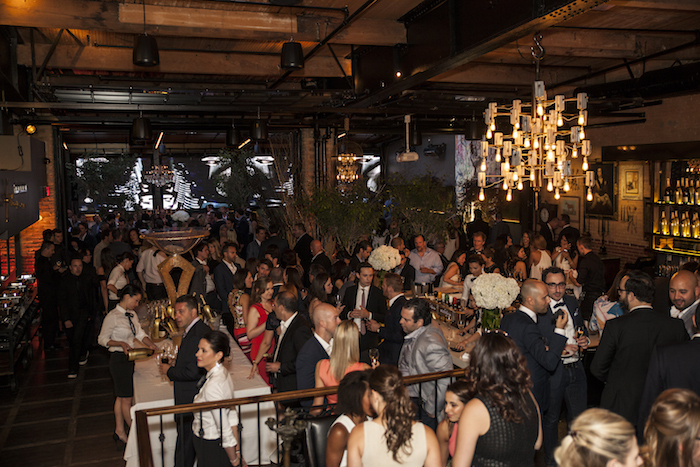 Kicking things off on Thursday, the restaurant comes running right out of the gate with the Official Grey Goose Party. Friday night is reserved for the guys with the Gentlemen’s Club event getting underway at 5:30pm and Saturday night is the big night as we get all dolled up for the Grand Prix Weekend Red Carpet Party. On Race Day Sunday we get up early and do it all over again at the Race Day Party. This is why we love Le Richmond and Le Richmond Market so much. More information and tickets available here. The W Hotel here in Montreal is a happening hotspot so its no wonder that they have a full line-up for the Grand Prix Weekend. Starting on Thursday the 9th the W will feature special 5à10 cocktails featuring a live DJ in both Wunderbar and the Plateau Lounge. The party continues well into the wee hours of Sunday morning with more DJs from Montreal, New York and beyond. On Saturday and Sunday we recover at E.A.T (one of our favourite restaurants in Montreal) with an expertly prepared brunch and ambiance by DJ Donald Lauture. For more information and tickets, click here. 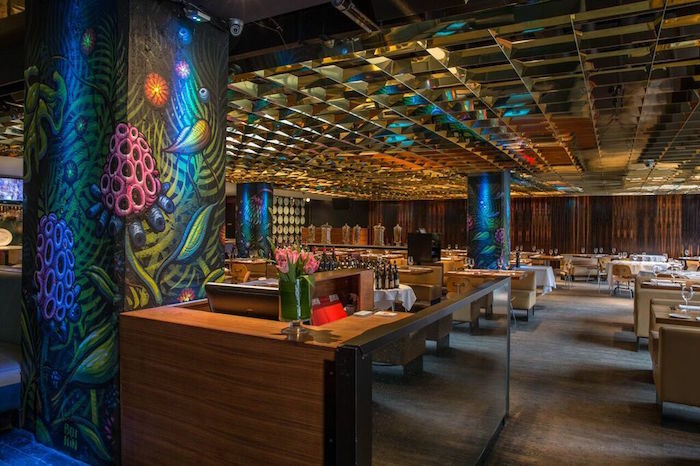 Being one of Montreal’s most famous restaurants and hotspots, we are guaranteed an explosive time at Buona. 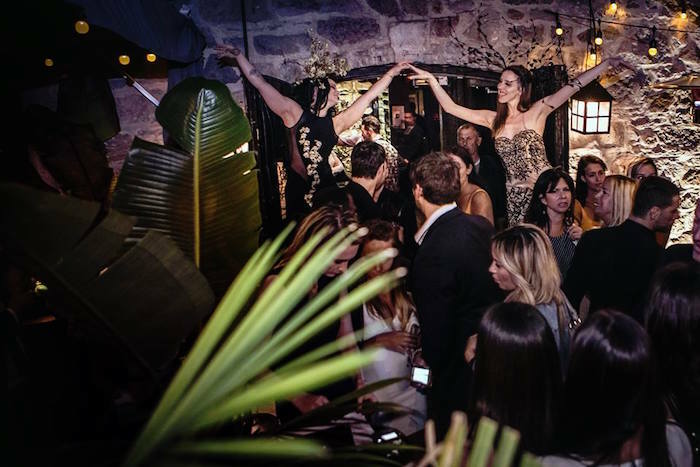 A great place to catch drivers mingling with media, celebrities popping bottles of champagne and the most stylish people from around the globe, Buonanotte is not to be missed during Grand Prix. Although no details are available yet, we are putting this restaurant on our list of not to miss Grand Prix madness. We will update you the minute we find out all the juicy details. For more information on Buonanotte click here or visit their website. L’Auberge St-Gabriel is one of the most unique venues in Montreal which makes their Grand Prix weekend activities a must. 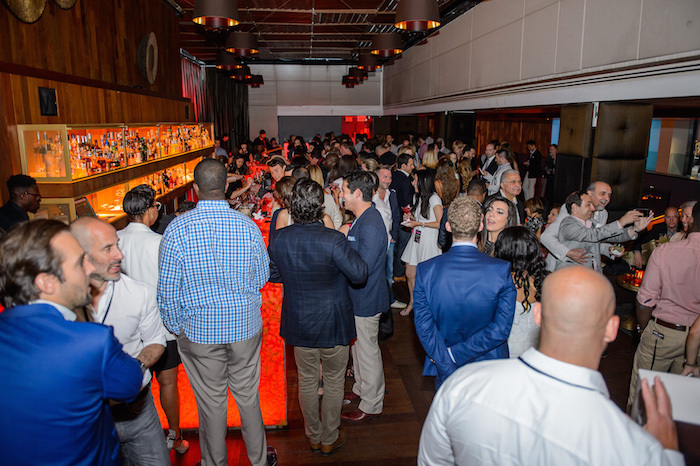 This year their activities, gathered under the ABGE theme, include a BBQ and red carpet party to kick things off on Thursday, June 9th and a Bagatelle brunch the following day from Chef Cindy Wollenschlaeger. The house chef, Ola Claesson will prepare internationally inspired meals every evening from the 9th to the 12th and of course the famous ABGE F1 after party on the 12th will no doubt gather a crowd as it has done in the past. The event is not to be missed and is attended by drivers, race fans and this year, thanks to the fine folks at ZCD Montreal, Victoria’s Secret top model and angel, Devon Windsor will be in divine attendance. Get all your ABGE details here. 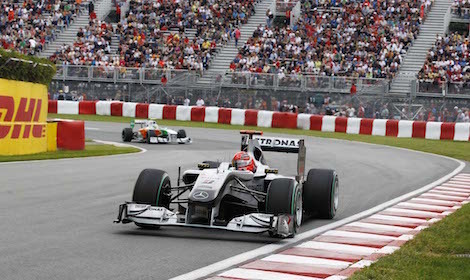 Every year during Grand Prix, downtown Montreal becomes a people watching, cocktail guzzling and food loving paradise. Peel Street is blocked to vehicle traffic and the terrasses spill out on the the street creating a relaxed centre city atmosphere that compliments the hot daze of summer. Refreshing cocktails from Belvedere vodka and oysters at the Belvedere bar was a highlight of last year’s festivities and this year we are looking forward to even more fun before the races begin. A stroll down St. Catherine street requires a stop on Peel Street.